The Museum has a library of some 6,000 books and journals covering a wide range of Jewish topics. 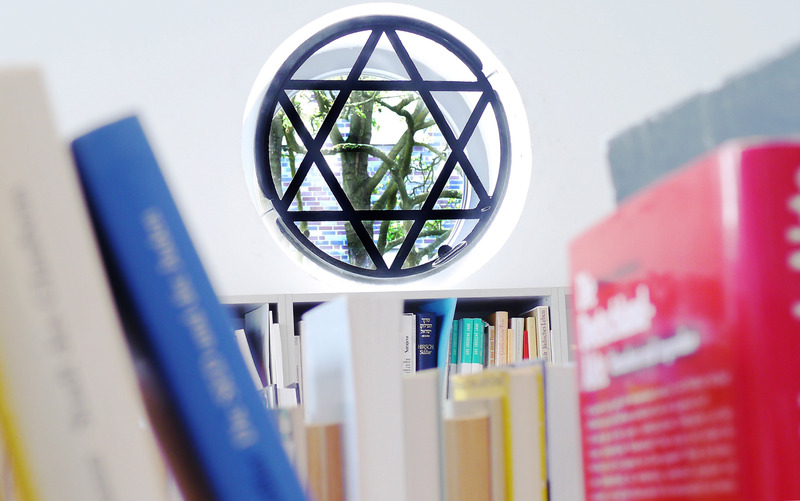 The collection consists of books and publications on the history of the Jewish people, Judaism in Germany and Europe, local and regional information as well as information on the extermination of European Jews by the National Socialists. Users who wish to study Judaism more intensively will find a wealth of informative presentations including the Talmud.There are also newspapers, journals and encyclopaedias. It is not possible to borrow anything from the library but the library may be used when the Museum is open or by prior arrangement as well as during courses etc. An electronic catalogue system is available at the library. Some newspapers, journals and information services can be found in the foyer and on the “bridge” between the old and new building.